Your aggregator just went green. 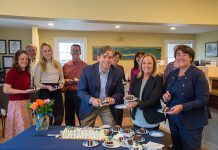 In January, Island customers of Cape Light Compact (CLC) got a new energy supplier — NextEra — and all that power is generated by 100 percent renewable sources. Plus, the new rate for residential customers — in place only until the end of July 2017 — is 9.93 cents per kilowatt-hour (kWh), slightly lower than the residential rate from Eversource, the regional electricity distributor, which is 10.318 cents per kWh. According to Austin Brandt, CLC’s power-supply planner, CLC and Eversource both change the prices for residential customers at six-month intervals, and determine their prices by analyzing the futures market. Customers can expect new rates to be announced in early summer. Differences in price are due to locking in at different times and varying blends of energy sources. Individual Eversource customers were switched over from Con Ed Solutions to NextEra through the month of January, as their billing period ended and a new one began. CLC is a municipal aggregator; its primary purpose is to negotiate a competitive price for electricity for its members. The regional compact was formed in 1997, in the wake of the 1992 federal Energy Policies Act, which among many other changes, forced energy producers to separate themselves from energy distributors. This created room in between for aggregators, made possible in Massachusetts in 1997, by the Massachusetts Restructuring Act. Since 2005, until this month, CLC bought its power for residential users from Con Ed Solutions, a Valhalla, N.Y.–based company. According to Mr. Brandt, CLC began buying power in in 2014 for its industrial and commercial customers — a distinct minority in the Cape and Islands region — from the Massachusetts affiliate of NextEra Energy Services, based in Juno Beach, Fla. With the residential supply contract up for renewal in 2016, CLC issued a request for proposals (RFP) and received two, one from NextEra and one from Con Ed. 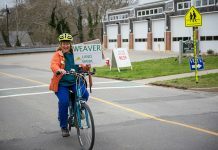 “[CLC executive director] Maggie [Downey] and I discussed how to go green,” Mr. Brandt said, “and then we brought in the board of directors. We asked Con Ed and NextEra to consider this in their proposals.” NextEra was chosen, according to Mr. Brandt, because its price was competitive, its representatives seemed comfortable with the commercial and industrial load, the deal gave better value for the cost, and NextEra brought options for making the supply 100 percent green. In spring 2016, CLC entered into a contract with NextEra. CLC is the oldest municipal aggregator in the state, and the only one that pools customers from multiple municipalities into a single purchasing bloc. It includes all 21 towns on the Cape and Martha’s Vineyard, as well as the governments of Barnstable and Dukes counties. “Barnstable County created Cape Light Compact after the 1997 restructuring act,” Ms. Downey said. “Back then, they had a forward-thinking local government.” The county organized and funded CLC. Energy-efficiency funds that pay for all CLC activities are derived from a systems benefits charge of $0.025 cents/kWh that is added to the bill of all utility customers. The compact is an example of a community choice aggregator (CCA), which allows for the group purchasing of power. CCAs are established by law in seven states now, with Massachusetts being the first to adopt them. They work in partnership with an existing utility, Eversource in the Cape and Islands, which continues to deliver power, maintain the grid, and do the billing. In addition to negotiating contracts for the delivery of power, aggregators may also administer energy-efficiency programs, including energy audits for homes. According to Ms. Downey, this free service is available to Martha’s Vineyard customers during one week out of every month. She said there was now an eight-week waiting list. As an aggregator, CLC is not allowed to develop power generation. In 2008, the passage of the state’s Green Communities Act made it possible for cities and towns to develop their own power generation. “Green Communities made sale of energy as a transaction more viable economically,” Ms. Downey said, “because of net metering credits. In addition, the price of PVs [photovoltaic cells] plummeted.” The 1997 restructuring act had allowed for the formation of municipal energy cooperatives, and CLC formed the Cape and Vineyard Energy Cooperative (CVEC) in 2007 to be an entity that would develop renewable energy projects. CLC is still a member of CVEC, Ms. Downey said, but it is no longer funding it. Early in the development of CVEC, CLC employees were doing most of the administrative work. Between 2007 and 2014, CLC gave CVEC help in the form of grants from surplus in the energy-efficiency funds used to run CLC. After 2014, the surplus was depleted, and CVEC must raise all of its own revenue. Also in 2014, according to Ms. Downey, the political atmosphere at Barnstable County changed. After what she described as “a rocky time with the [county] assembly of delegates,” CLC ended its contract for services with the county. All of the CLC staff are employees of the county; Ms. Downey is the assistant county manager. In response, CLC has been advised by counsel to form a “joint powers entity.” CLC would have employees of its own, but would contract for administrative services with one of its member towns. Its relationship with Barnstable County will end in June or before. CLC’s relationship with the state is not extensive. 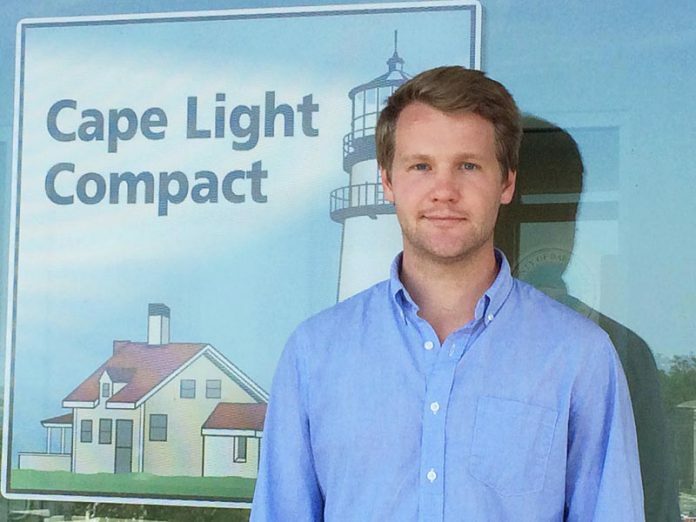 According to an email response from Katie Gronendyke of the Executive Office of Environmental Affairs, “municipal aggregators, like Cape Light Compact, are statutorily allowed (although not required) to develop demand-side management programs (now referred to as energy efficiency). Those plans must be submitted to the DPU [Department of Public Utilities] to certify that the plan is consistent with the state energy conservation goals developed pursuant to statute. “Currently, Cape Light Compact is the only municipal aggregator with a ‘certified’ energy efficiency plan. Their last three-year energy efficiency plan, for the 2016 through 2018 term, was reviewed and approved by the DPU in D.P.U. 15-166. At a larger scale, Massachusetts state law requires energy suppliers to retire a certain number of RECs per year. This is the basis of the market for RECs; it creates a reliable demand for them. According to Mr. Stengel, NextEra owns 19,000 MW of electricity production in 29 states; 80 percent of that is generated through wind and solar energy. They have been producing solar power since 1989. The next largest portion of their production, 14.5 percent, is derived from nuclear power. Mr. Stengel said NextEra thinks of itself as a wholesale provider; their customers are aggregators, utilities, municipalities, and cooperatives. Unlike Con Ed Solutions, NextEra was able to promise CLC that it could reliably supply renewably sourced power to all its customers. “NextEra is purchasing RECS or assigning RECs they own, and retiring them in sufficient quantities, that it covers CLC usage,” Mr. Brandt said. This allows CLC to make the claim that 100 percent of the power used by their customers has a green source. NextEra is producing power and purchasing RECs in other states where the energy supply exceeds the demand for it. The lower demand causes them to be cheaper; CLC’s retirement of these out-of-state RECs keeps the price per kWh down for its customers.